Sounds from the other side of Europe presents Niva and FADA back to back. Niva will play for macedonian roots music for your drinking and dancing pleasure. Fada is French-Occitane singer and multi-flutist Eleonore Weill, who performs modern compositions and original songs by Miqueu Montanaro as well as old traditional famous and forgotten songs of resistance, peace, justice and love. Fada, French slang for "crazy", means literally, "inhabited by fairies. 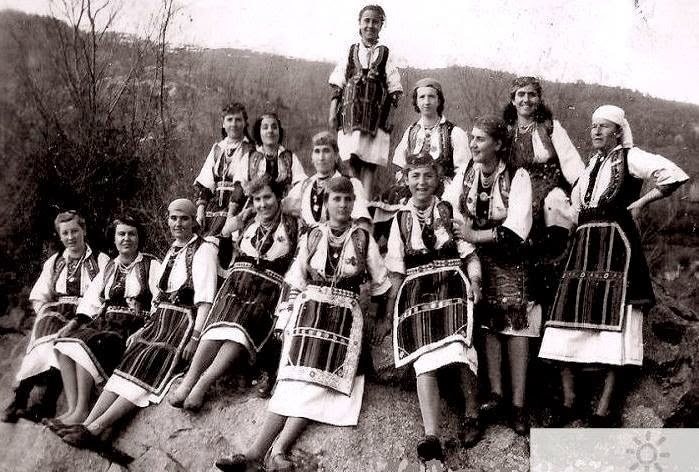 "Niva is a 4 woman band that plays and sings Macedonian roots music -- alternately lyrical, mournful, ecstatic and spooky music that used to be the soundtrack of everyday life back in the day. Niva:Songs about unhappy betrothals, love gone wrong, bandits hiding in the hills, and cruel mothers-in-law, and dances that wrap you in a twisting circle -- Niva can make you hoot and holler one minute and cry your eyes out the next, even if you can't speak Macedonian. Niva is: Bridget Robbins - kaval; Corinna Snyder - tambura and vocals; Emily Geller - tapan and vocals; Kristina Vaskys - tambura and vocals.